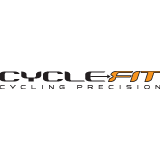 CycleFit in London's Covent Garden, is one of the world's few organisations that is entirely devoted to the subject of refining and perfecting the human to bike interface. We officially started fitting people to bikes back in 2001, before that we did our best but we were becoming increasingly frustrated with the lack of objectivity involved. Since then we have fitted thousands of cyclists on all types of bikes, from World Champions with knee pain to old ladies with back pain.